So what makes a Not for Profit organisation innovative? 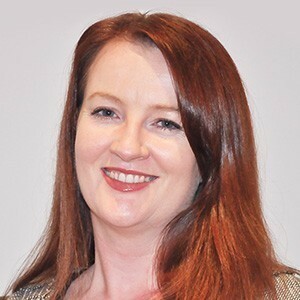 asks Renee Hancock the General Manager – Innovation and Marketing at Good Shepherd Microfinance, which has just won an Australian innovation award. Here are her top tips. Good Shepherd Microfinance has made its debut in the Top 10 Most Innovative Not for Profits in Australia, according to an annual index compiled by GiveEasy and supported by Australia Post and Westpac. More than 1,100 organisations participated in the index and were measured according to their capacity to develop and deliver innovation in seven areas: internal collaboration, external collaboration, innovation focus, openness of culture, organisational velocity, recognition and stakeholder centricity. So what makes an organisation innovative? My responsibilities at Good Shepherd Microfinance were recently expanded to include innovation … but having the word “innovation” in an employee’s title is simply not enough. People as innovators: first and foremost, it’s the people who make an organisation innovative. Having a diverse workforce with people from a variety of backgrounds and age groups is an essential ingredient to generating inspiration, ideas and innovation. An environment which supports innovation: for organisations to innovate, employees need a trusted work environment where their contribution is valued and respected. At Good Shepherd Microfinance, we’re encouraging every employee to dream large, to take reasonable risks and to try new things or do things differently. It’s ok to fail: an environment which supports innovation acknowledges that it’s ok to fail. It takes a lot of courage to fail but it’s critical for employees to understand that we can all learn a lot from failure, and in the end it will make us stronger. Besides, having a few failed attempts makes success taste so much sweeter! Don’t be too internally focused: the GiveEasy Index identified external collaboration as one of the key qualities of the most innovative NFPs. Good Shepherd Microfinance partners with 240 organisations in 670 locations across Australia to deliver the No Interest Loan Scheme (NILS) in local communities. It’s a truly amazing example of collaboration. Moreover, this national network has been, and continues to be, a source of innovation and inspiration for our programs. Design for people: in our innovation and marketing team, we’re building principles for how we embed innovation into our culture. Our first priority is human-centered design approach, based on the work of IDEO.org, to design programs by understanding the problem through the eyes of the client. Putting the client at the heart of our work not only ensures that we are designing solutions tailored to their needs, but it also inspires our people and our network. Good Shepherd Microfinance was honoured to be recognised by this Innovation Index. Many people have contributed their skills, time, resources and expertise to giving us the strong capabilities to innovate today and into the future. About the author: Renee Hancock is general manager, innovation and marketing, at Good Shepherd Microfinance. With more than 16 years of experience working in the corporate sector, Hancock has demonstrated success in leading and implementing strategic communication and CSR programs. Renee Hancock is general manager, innovation and marketing, at Good Shepherd Microfinance.